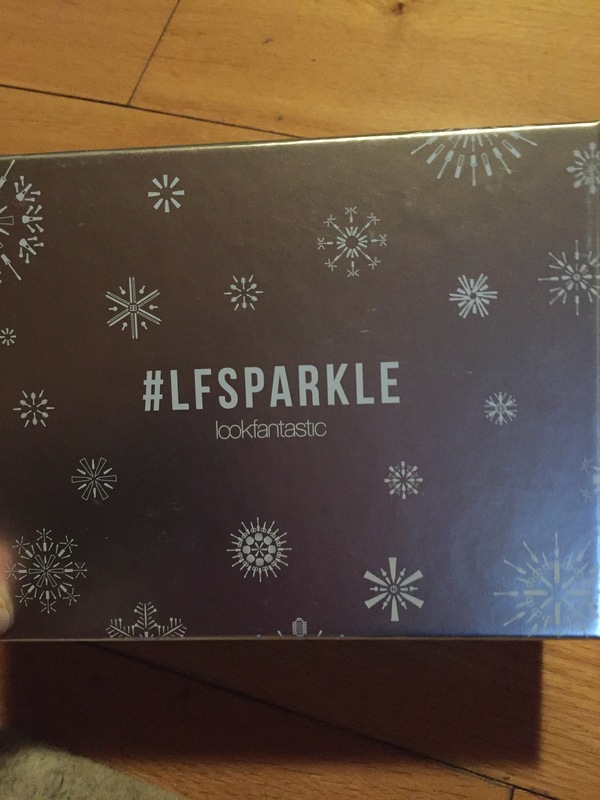 So it’s been awhile since I wrote a blog post on what I received in my monthly look fantastic beauty box so I thought I would let you all see what I got in this months box. 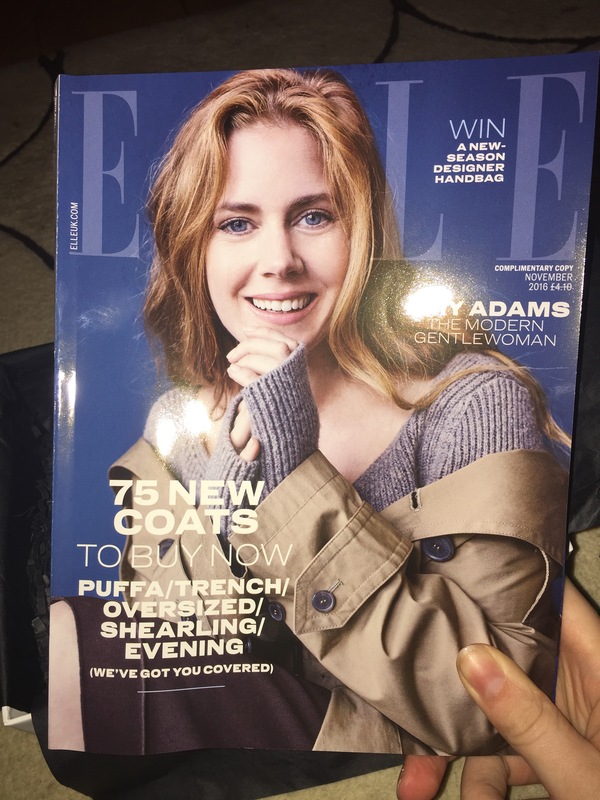 Just ok top of the box before I open it is this ELLE magazine. It’s full of fashion, celeb interviews and perfume samples. 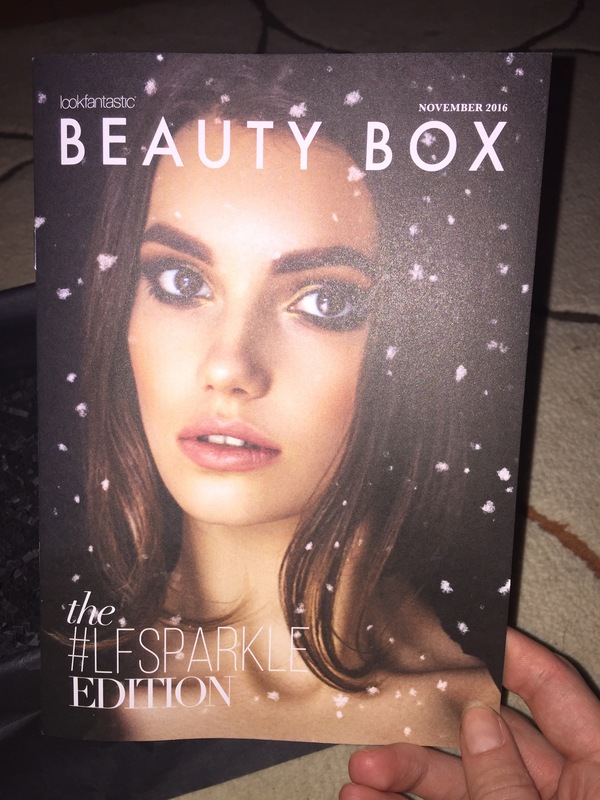 Then there is a little beauty box booklet which tells you more about the products within the box, what they are for and how to use them. 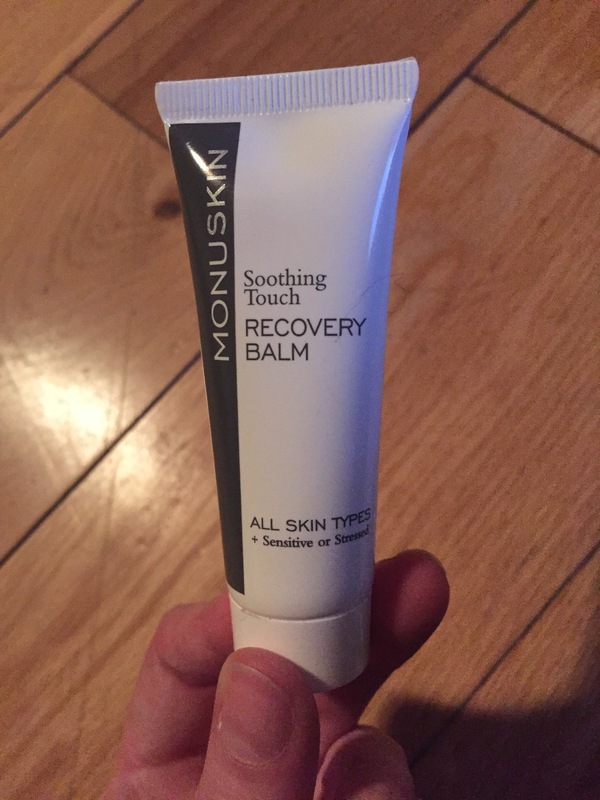 First up is Monu Recovery Balm. So it says in the beauty box booklet that this is full of natural ingredients and helps your skin go from stressed to smooth. I opened the tube up and it smells lovely so stay tuned for a “try it Tuesday” on this product. 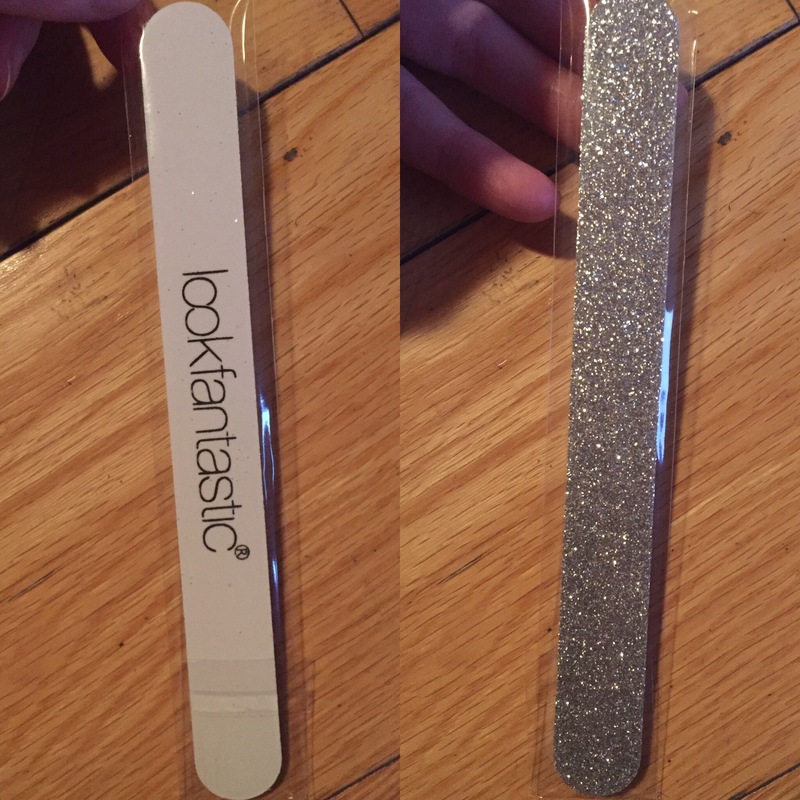 Next up I got a look fantastic nail file. Personally I love the Look of this nail file. It’s nice and sparkly but I can’t see myself actually using it for my nails. It’s too nice to use. I will definitely have it at my nail station as a decoration in my beauty room. Moving on to hair products, this month there are two hair products in the box. The first hair product is from L’Oréal. It’s called L’Oreal Proessionnel Mythic Oil and it says on the bottle it nourishing for the hair and suitable for all hair types. I really like the packaging on this, I think it loos really expensive. I am looking forward to trying this product out. 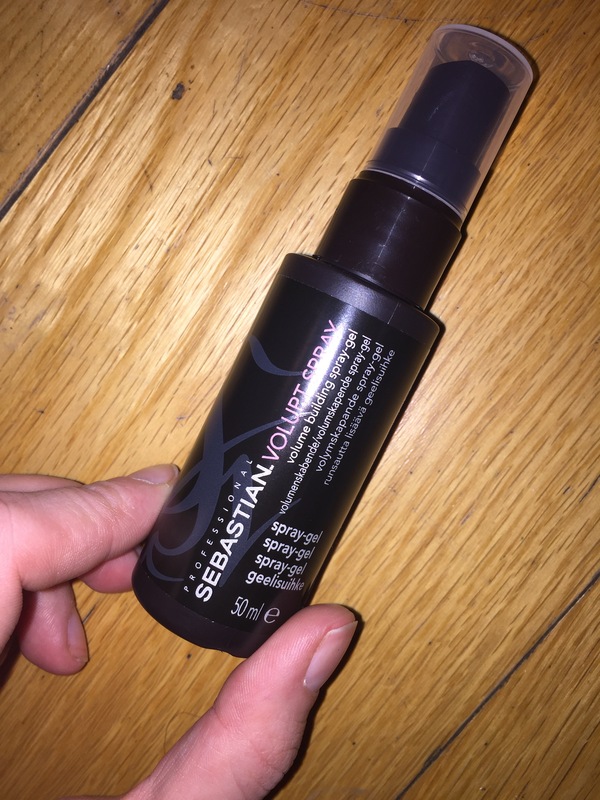 The second of the hair products in this months beauty box is the Sebastian Professional Volupt Spray. This product is to give your hair volume and lift. It also says in the beauty box booklet that it doesn’t make your hair sticky or greesy, I really hope this is true. Again I can’t wait to try this product. 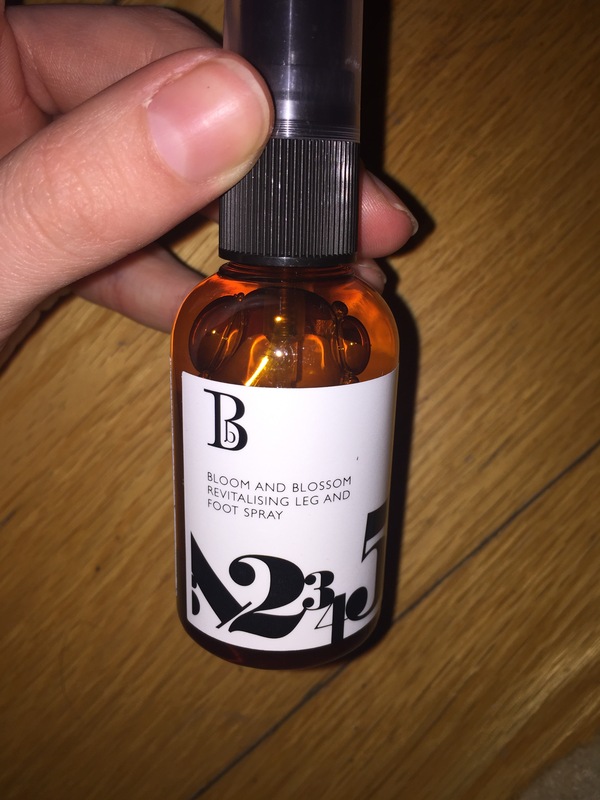 Moving away from hair products, next up is the Bloom and blossom revitalising foot and leg spray. It’s meant to relieve aching limbs and putting a spring back in your step. 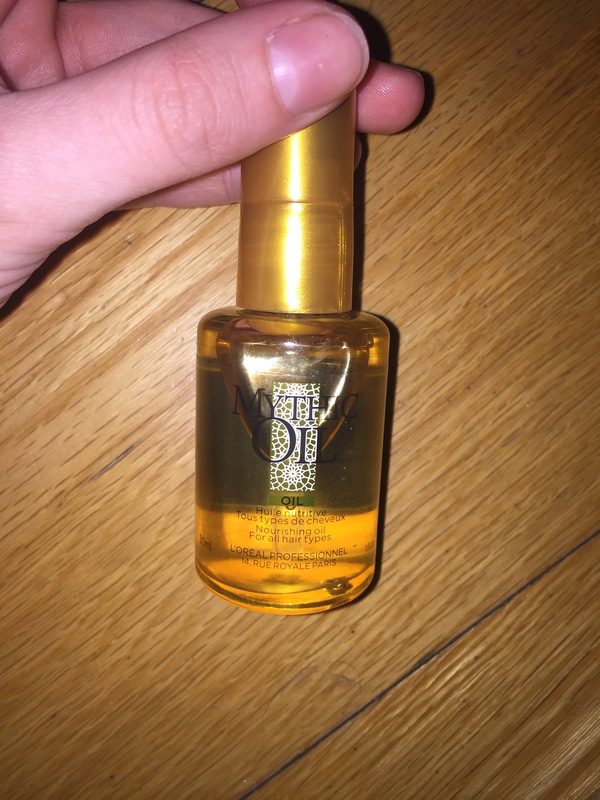 I am going to be honest I am going to give this product away because I know someone who may or may not benefit from a product like this much more than I would but don’t worry I will still let you all know how they get on wit this product. 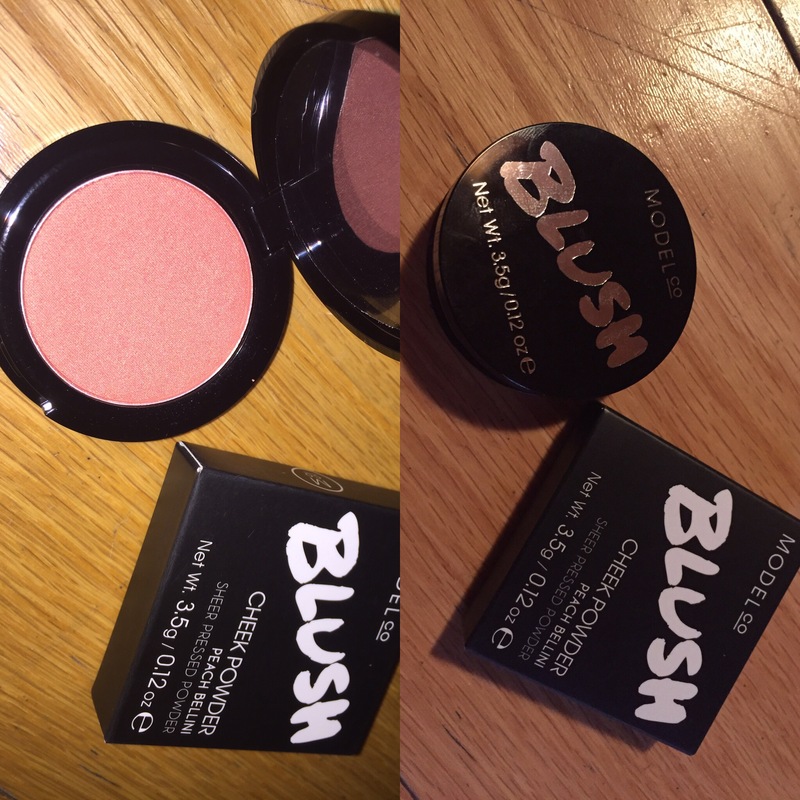 Up next is the Model Co, blush cheek powder. This is meant to be great for oily skin so I am putting this in my make up kit and I am looking forward to trying it on my clients. I have dry ski but I could still use this product on my own skin but when the product is aimed around Oil control I want to see if it does exactly what it says on the tin. 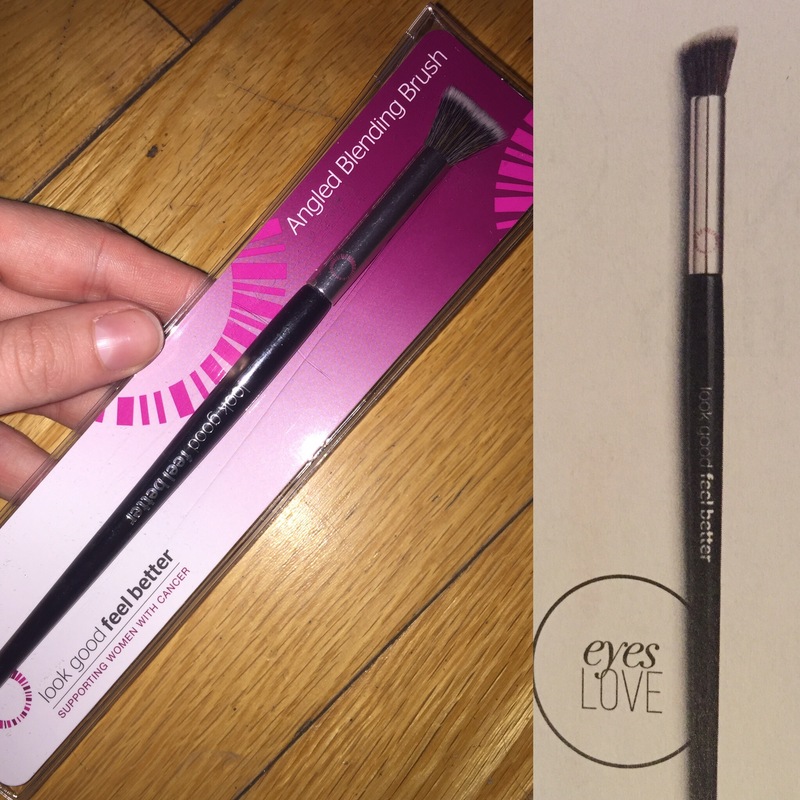 Lastly, I got a Look good feel better angled blending brush. This make up brush would be great for blending out eye shadow. It is environmentally friendly and this brand supports women with cancer which I think it such an amazing cause. Overall, I am delighted with this months beaury box. What I like about receiving the beauty box in general is, I get the chance to try out different brands and products I probably would never try without the box. Every Tuesday I write above a new product I have tried and what I thought about it and these beauty boxes have been great for those blogs. I am also enjoying trying out the products and when I see the beauty box arriving with the post man I get excited. 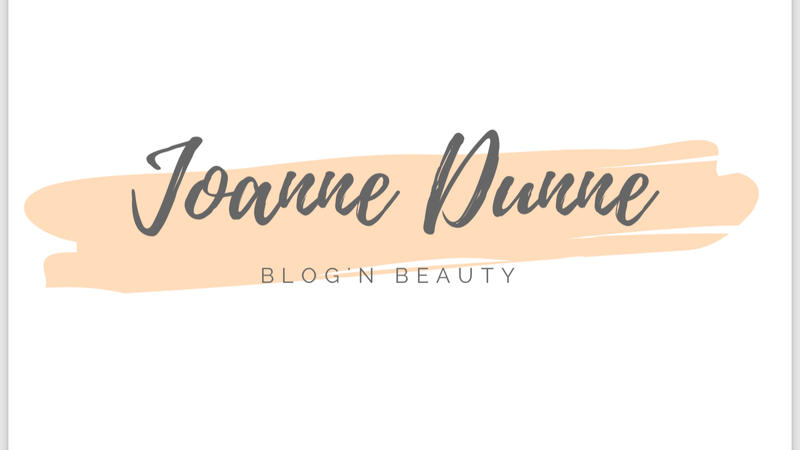 I have done a blog post about What exactly a look fantastic beauty box is and how to subscribe, you can find that Here. Hope you enjoyed seeing what I got. I will be trying these products and putting up blog post up about them so keep an eye out!